In aid of the Teenage Cancer Trust, for the nineteenth year now, the Royal Albert Hall has annually hosted gigs from some of the biggest and acclaimed global artists including Kasabian and Nile Rogers & Chic. XS Noize was invited to see headliner Tom Grennan put on his biggest headline show to date and find out more about the Teenage Cancer Trust. The show had not one, but two support acts. Rose Gray set things in motion with her chilled, urban-inspired sound, singing original songs, including her first release, Good Life. There was more to this young artist than meets the eye. 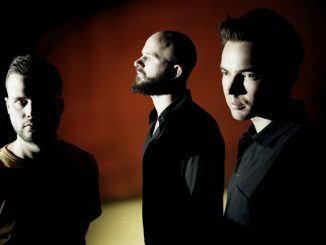 One song resembled Arcade Fires’, Rebellion (Lies). What made Gray special was not only her naturally powerful voice, it was how as an unknown artist, reached everyone in the Albert Hall; even those high up in the gods. Main support came from Liverpudlian female fronted Zuzu. Lead singer and guitarist (not bass player!) also called Zuzu reminds you of Bina from the graphic novel, All Summer Long who was advised from the fictional female fronted band, Steep Streets, to not “let anyone trick you into playing bass. The worlds got enough chick bass players”. Zuzu proved to be a tenacious force of vibrant energy; combining the less ordinary elements of pop, Paramore and Sonic Youth. With Zuzu having fuelled excitement with her set and letting slip that Grennan would be joined by a 27-piece band (including a 5- piece string section), a non-partial, non-emotive, short, informative video about the Teenage Cancer Trust followed. The Teenage Cancer Trust has helped to set up specialist units in 28 NHS hospitals across the UK which help overcome the problems encountered on generic children’s wards including; the size of the beds, age-inappropriate toys and books as well as loneliness and isolation. 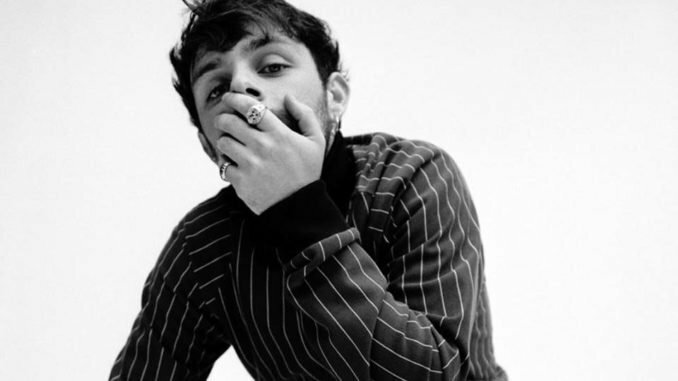 Despite only having released his debut LP, Lighting Matches, in 2018 and still in his early twenties, Tom Grennan was greeted with a superstar entrance from the crowd as he swaggered to The Fugees, Ready or Not, theme music. Zuzu’s prediction had come true; sovereign festooned Grennan was armed with a 27-piece band. However, he immediately didn’t hesitate to show that he could hold his own; opening, playing with just the acoustic guitar, Grennan sang Sweet Hallelujah, a song that harmoniously collates the best of Maverick Sabre and The Temper Trap. If there were any doubts as to how well Grennan had been received by the public, these doubts were laid to rest when Tom sang Royal Highness. The five thousand plus Royal Albert Hall all stood to attention, singing along to this song resonating with George Ezra’s Shotgun with Plan B’s urban, rnb overdub. From this point onwards, the audience was no longer sedate or had their attention diverted elsewhere. Ezra’s influences also found a home when Grennan played Barbed Wire, inspired by Blame It on Me. 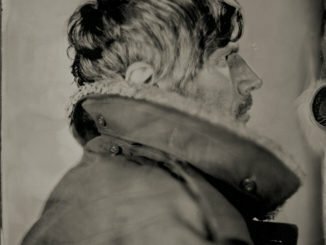 The ethereal uniqueness and power of Grennan’s’ voice is comparable to Amy Winehouse. 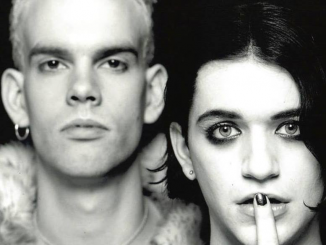 The musical influences of the late Lioness were profound on Make ‘Em Like You, which definitely connects with Tears Dry On Their Own (albeit Make ‘Em Like You is more upbeat). Using Winehouse’s’ original arrangements; Grennan also covered, You Know I’m No Good, proving Grennan deserves quoted comparisons with the likes of Amy, Sam Smith and George Ezra. Despite Grennan’s age and relative newness on the music scene; he was shown admirable deftness in bringing pleasant welcoming surprises, particularly when his songs change key. Lucky Ones is a good example of this, beginning with slow reserved piano to sudden eruptions of pleasant, upbeat harmonies. As well as playing the first song he released, Something in the Water, Tom played what is probably his most unique, powerful and impressive track to date, Found What I’ve Been Looking For, which positively synchronises with Foals, Mountain At My Gates; the perfect song to play just before an encore. The playout track, Little by Little Love, continued to surpass expectations, resembling both Married with Children and Champagne Supernova, the playout tracks from Oasis’ first two LP’s; allowing Grennan to peak at the end of the set. In conclusion: great headline artist (with great support); great gig; great cause (Teenage Cancer Trust) – donate! To donate to the Teenage Cancer Trust please go to HERE.